On a nondescript suburban street in the nondescript but perfectly nice city of Poway, California, sits a perfectly normal ranch house with a completely abnormal two-car attached garage. 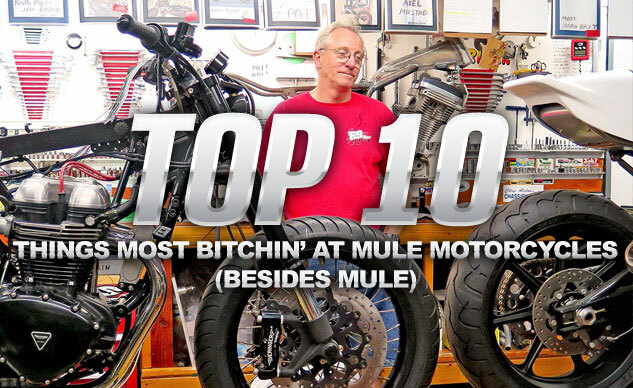 Inside it you’ll find, more often than not, Richard Pollock, the Mule behind Mule Motorcycles. If you haven’t heard of him, you haven’t been paying attention. Racer, rider, fabricator, dreamer, doer – Richard builds some of the finest custom motorcycles money can buy.